Swarm of Butterflies was an art installation on the Atlanta Beltline that served to heighten awareness about the decline of the Monarch butterfly. It also provided Beltline travelers with a rest stop, an aesthetically pleasing place to pause and reflect. 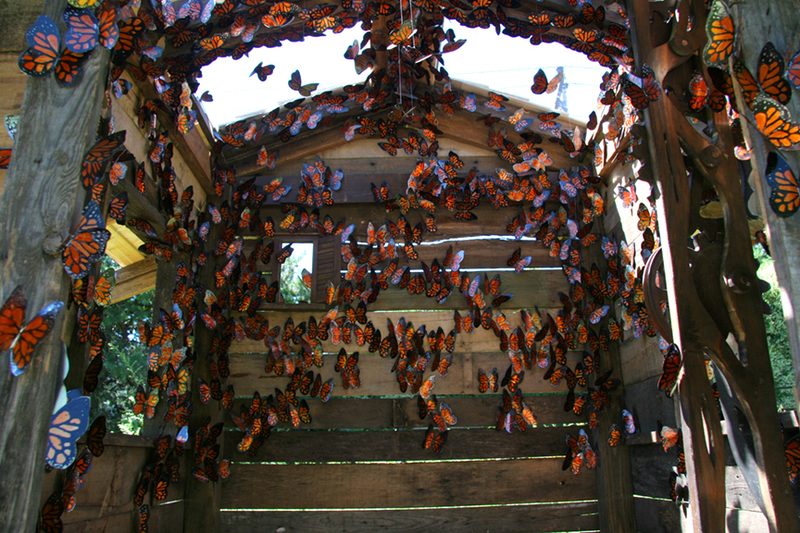 The house is made of pallet wood and the butterflies are made of metal. There are over 1,300 handcrafted butterflies in the swarm. The swarm had an interactive component, a wheel that when turned, enabled a group of the butterflies to flap their wings. I enlisted the help of carpenter and woodworker, Craig Appel, for construction of the house, bench and the interactive element.